Ready to eat a big ole’ helping of turkey during your Thanksgiving Dinner? So are we! Thanksgiving isn’t all about the stuffing and sweet potato pie. It’s about being thankful for what you have like friends and family and cheers to good health! That being said, you can really make a statement at the dinner table this year if your nails are themed properly like the ones below. 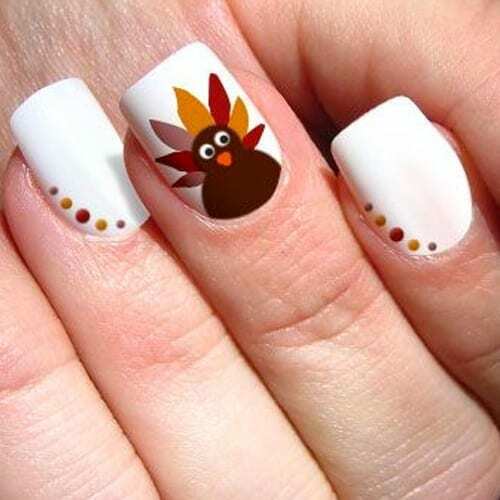 We have found the very Best Thanksgiving Nails and we hope you enjoy them!